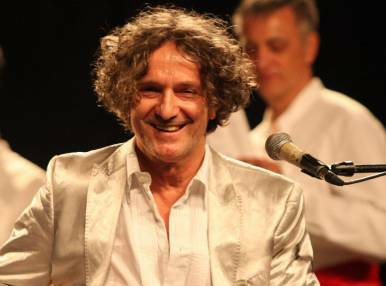 Goran Bregovic is a composer best known for his film scores featured in Emir Kusturitsa’s films and for his unique talent as a musician. Bregovic lives in Paris, yet he is proud of being a Yugoslavian and often enriches his music compositions with Balkan and Gypsy tunes and sounds of folk wind instruments. Besides soundtracks to 20 films and 11 music albums, his portfolio includes collaboration with top singers and even a song performed at the Eurovision Song Contest.